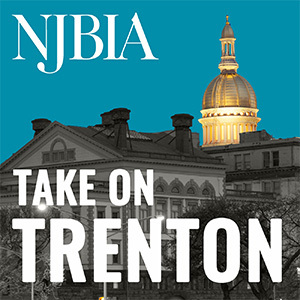 Many business-related laws enacted in 2016 were developed because of the strong efforts of our government affairs team, which works tirelessly as your advocate in Trenton to help businesses like yours meet New Jersey’s challenges. Just as importantly, NJBIA has also succeeded in convincing the Legislature not to enact certain proposals that would have made it more difficult for our member companies to do business in New Jersey. NJBIA counts the following as our top successes of 2016. A-1153 (Ciattarelli, Schaer, McKeon) A-1153 makes it a crime for someone to authorize an “electronic funds transfer” knowing there are not enough funds in the account for full payment of the transfer. It is already a crime if someone writes a check or money order knowing there are insufficient funds in the account to cover the transaction. By aligning the criminal law on bad checks and money orders to include electronic transfers, businesses now have enhanced protections when accepting payments electronically. The law governs the use of certificate of insurance forms, which are typically used by contractors to demonstrate they have insurance coverage required to enter into construction contracts. The law specifically prohibits the use of certificate of insurance forms that are unfair, misleading, or deceptive, in violation of public policy or any law or regulation promulgated by the state Department of Banking and Insurance. This legislation expanded health insurance options for small and mid-size business by increasing the availability of cost-saving “Multiple Employer Welfare Arrangements” (MEWA) for private employers. The new law makes it easier for employers to pool resources with other private businesses to reduce health insurance costs, and offer more health benefit options to their employees. This law was part of a package of bills aimed at addressing heroin and opiate prescription drug abuse in New Jersey. It requires pharmacists and physicians to instruct patients on how to safely dispose unused prescribed controlled dangerous substances. It also requires the state Division of Consumer Affairs to post a notice on its website about the availability of drug take-back programs sponsored by a local, state or federal government agency; and how to obtain information concerning where unused prescription drugs may be dropped off for safe disposal. This legislation amends New Jersey’s unclaimed property law by eliminating a provision requiring retailers to collect the names and addresses of people who purchase consumer gift cards. While intended to make it easier for the state to assert jurisdiction over cash balances on abandoned cards inactive for five years, the data collection and retention requirement was costly and burdensome for New Jersey retailers. This legislation allows corporations to indemnify corporate agents without the approval from their board of directors regarding the advancement of expenses. The new law provides greater flexibility in the decision-making process for advancement of corporate expenses and makes the New Jersey corporate indemnification law consistent with that of Delaware and New York. Creates a nine-member New Jersey Biotechnology Task Force that will communicate with the biotechnology industry and develop recommendations for actions that the state can take to attain and attract new biotechnology companies to New Jersey. New Jersey has created a New Jersey Innovation and Research Fellowship Program to increase technological research and bolster the state’s innovation ecosystem. NJBIA supported the bill that would dedicate a portion of existing workforce development funding to create at least 20 research fellowships for employers dedicated to research and development. A research fellowship program could help companies devote more time and energy to support industry research and development. The State Board of Education is now charged with developing rigorous computer science standards for students in middle school and high school. Additionally, students taking Advanced Placement Computer Science courses can now earn credit for high school graduation. The two laws will help increase the emphasis and importance of computer science classes and STEM (Science, Technology, Engineering, Math) education. Small, privately owned businesses can now raise money through crowdfunding web portals. Specifically, companies that want to offer intrastate crowdfunding investment opportunities no longer have to register with the NJ Bureau of Securities provided that the total investment does not exceed $1 million. Also, the investment from any single purchaser is capped at $5,000. Prohibits advertisers from sending unsolicited text messages and requires telecommunications companies that sell text messaging services to offer customers the option of blocking all incoming and outgoing text messages. Violators may be fined $500 for the first violation and up to $1,000 for subsequent violations. S-582 establishes the New Jersey Big Data Alliance as the state’s advanced cyber infrastructure consortium. The Alliance is a combination of state government, academia, and industry to address the importance and future of Big Data. With better understanding and utilization of data, New Jersey and employers will be able to grow the economy and create jobs.